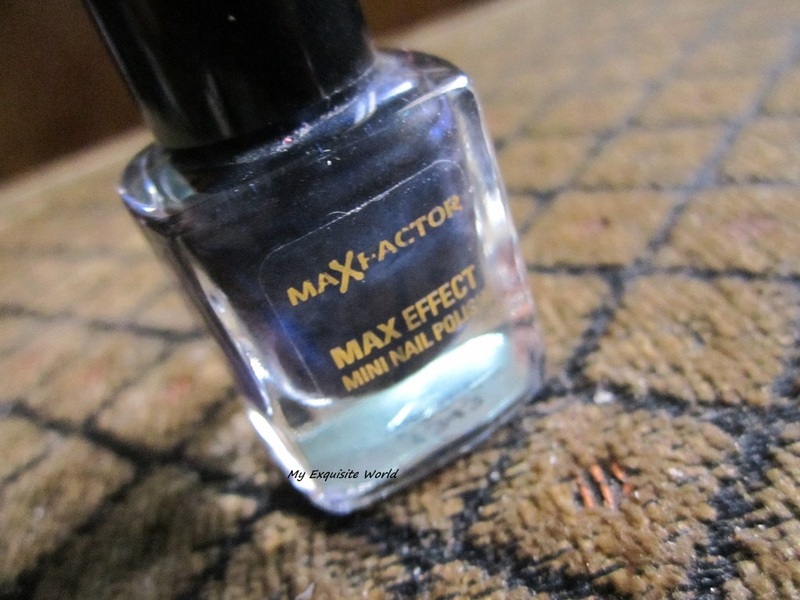 ABOUT:Max Colour Effect Mini Nail Polish in fun-size pots to nail your look with a flourish of polish! Choose from 36 on-trend colours for any occasion. Handy mini pots for your purse. 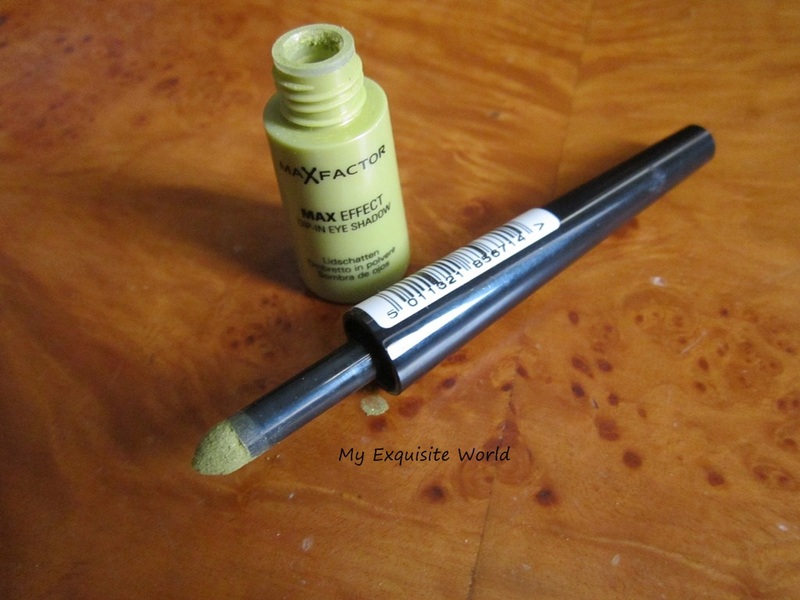 Part of the Max Effect range. PACKAGING:The nail enamel has a small square shaped glass bottle.I find it pretty convenient to use and store.Also,I don’t use nail paint too much so this size is apt for me.The brush is also pretty standard in size and quality, and it’s easy enough to use. 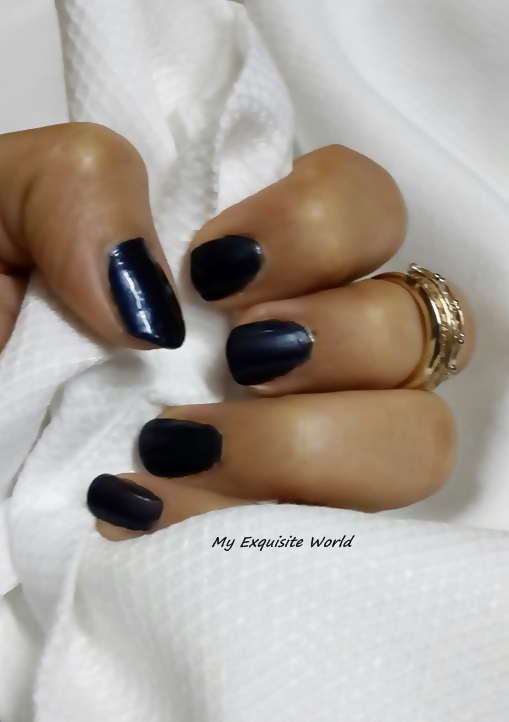 SHADE:Cloudy Blue a dark blue nail paint with dark grey base and duochrome purple effect.It appears t o be duochrome in bottle however,the effect doesn’t show up on nails.The shade is sheer in single coat and has to be swiped at least thrice for deep blue color. PERFORMANCE:The formula is great.It is slightly runny but not that it would spill.The nail paint applies well and buildable.It doesnt look streaky or gloopy if over applied.The nail paint dries within 2-3 minutes.The shimmer present is subtle and the glossy finish if the nail paint makes my hand look fair. Cloudy Blue stays for about 3-4 days on nails.The best part is that it doesn’t stain my nails like some dark nail paint do neither it settles in the cuticles.I was very scared the very first time I applied this but it did not stain nor made my nails hard. RECOMMENDATION:I love the shade and the finish.The formula is good and there are many more shades available in the range.Also,the mini packaging is a boon for me.However,the price is a bit high for a mini nail enamel. 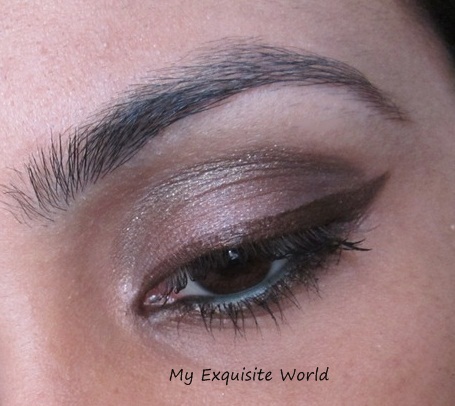 ABOUT:Defines eye shape and adds colour. 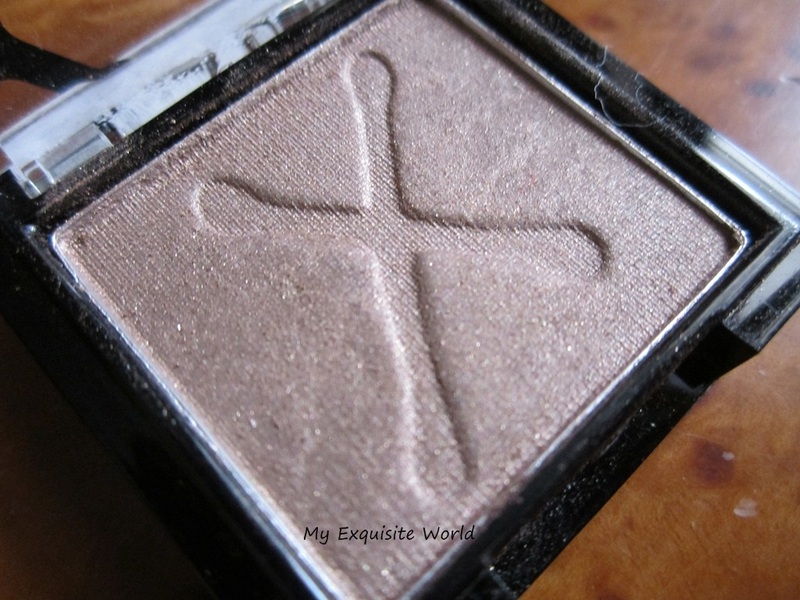 Can be used as a liner or eye shadow when smudged. Key claims:Soft so as to not drag skin.Firm enough to define eye shape. Reason to believe: Formulated to be soft enough to use under your lashes and on your eyelids. PACKAGING:Packaging is simple with a pencil body having a cap. 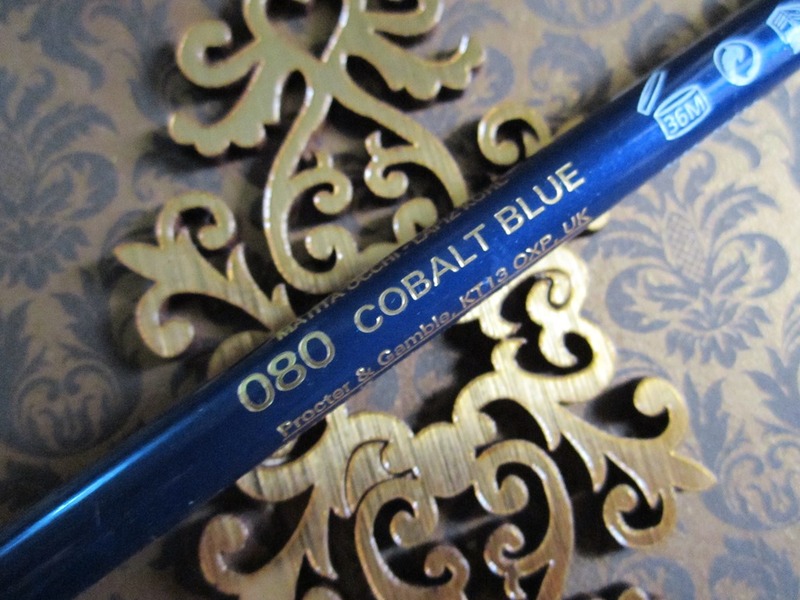 COBALT BLUE:The shade is a true cobalt blue having matte finish.It is very striking. 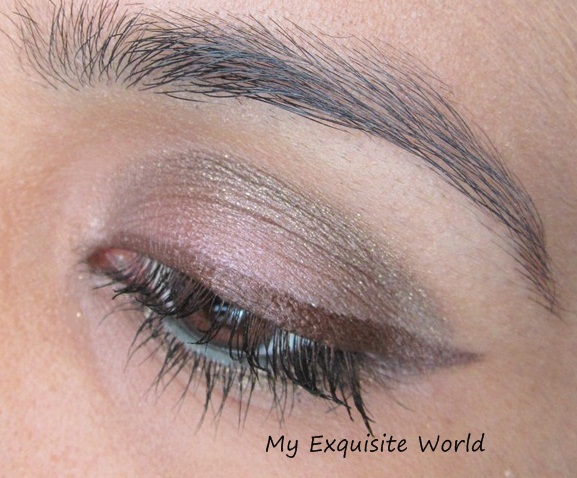 TEXTURE,FINISH & STAYING POWER:The texture of the kohl isnt very creamy but soft enough to swipe thrught h eyes.It is soft in nature.It provides a matte finish which I simply adore for the shade.Teh kohl stays for about 6-7 hours without any fading or budging when applied on lids but when used as a kohl on the waterline,the staying power reduces to around 4 hours. 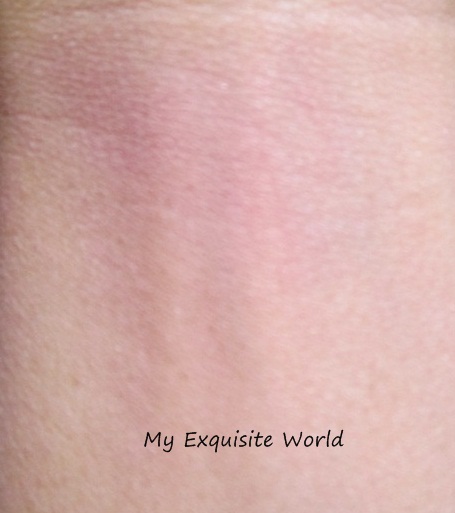 The shade is such that it is hard to go unnoticed.It is decently pigmented and speaks for itself.I have used it on the waterline as well as on lids and the result is very prominent. 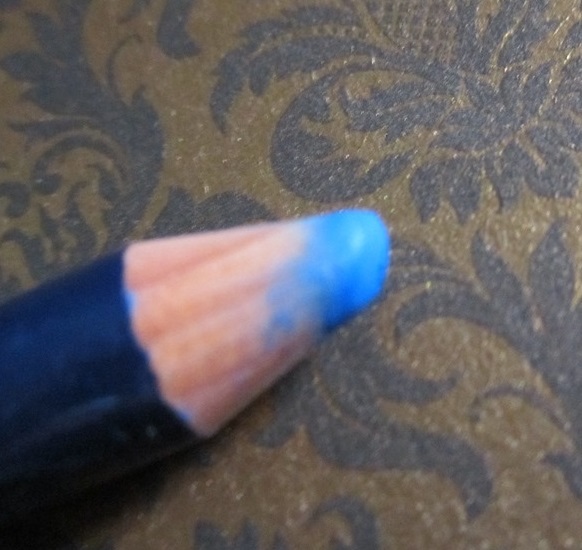 It has to be sharpened for more crisp line.I haven’t smudged it but i feel that the formula is such that it may not smudge properly. Neither very creamy nor very drying. Stays for a decent amount of time on eyelids. A different shade to add spark. Did not irritate when applied on waterline. The staying power reduces when it is applied on the waterline. 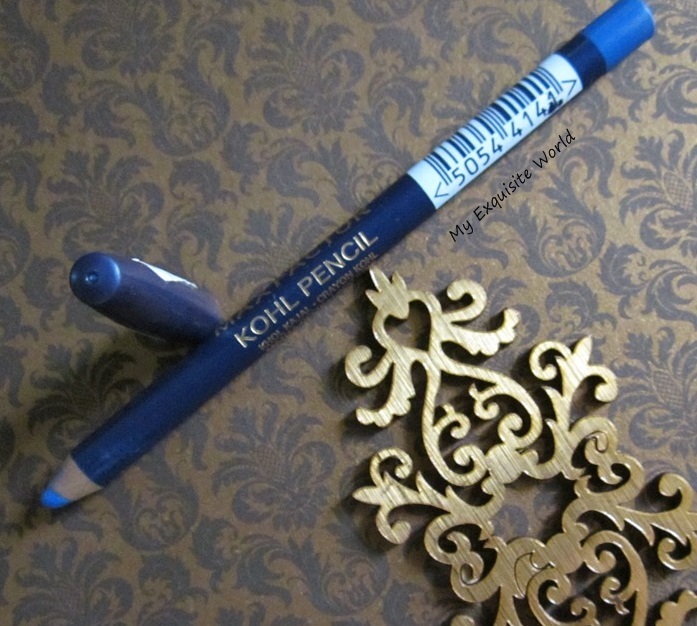 RECOMMENDATION: I am very much impressed by this kohl pencil as it has the right formula which isnt very creamt that it forms a layer on eyelid nor very dry that it is difficult ot swipe.It is decently priced and available in brown,black,green as well.Cobalt blue is a vry unique and a fun shade to try!! PRODUCT CLAIMS:A healthy looking flush doesn’t have to be out of embarrassment anymore – this sheer, soft blusher blends easily into your skin leaving a hint of colour that completes any make-up look. 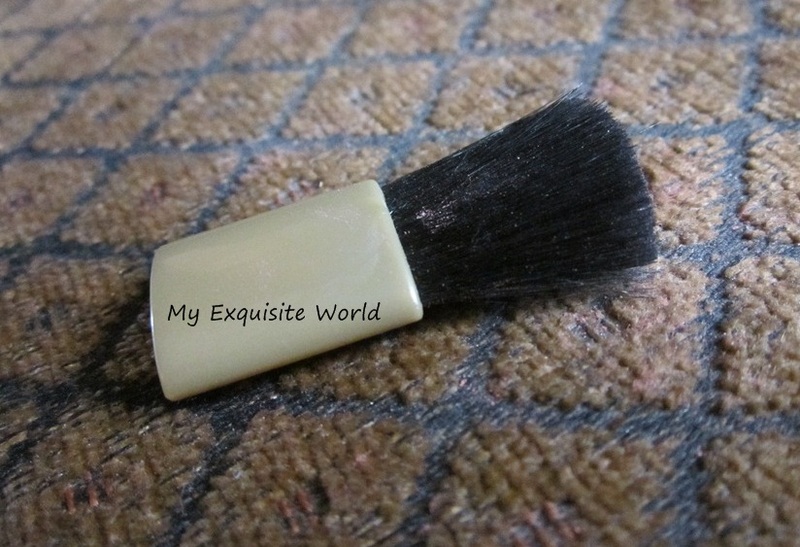 Use it to define your cheekbones or simply let the luxurious and soft texture freshen your complexion. It works just as well over bare skin as it does on top of foundation. 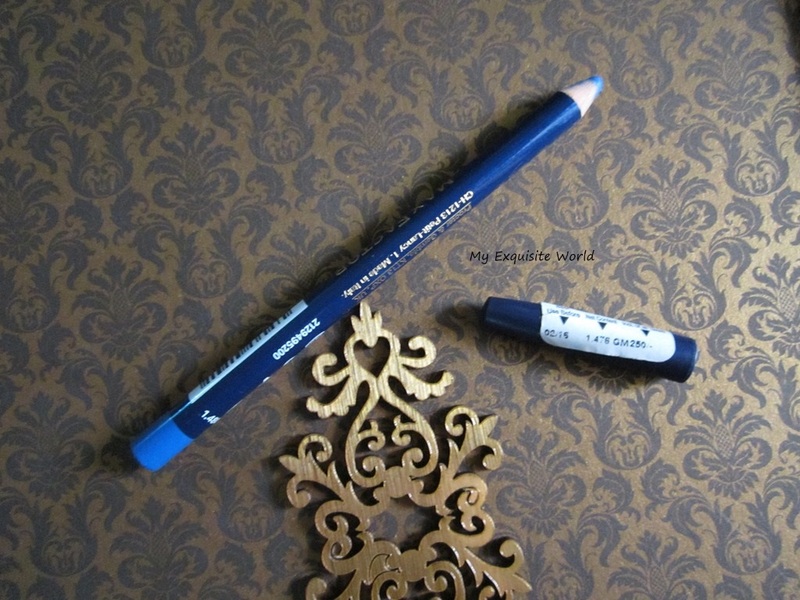 PACKAGING: The packaging is quite dull and boring with a dark blue rectangular base and a transparent plastic flap.The shade name is provided at the back.It look quites cheap at the price it comes.The brush that comes along is too small for use but has soft bristles. 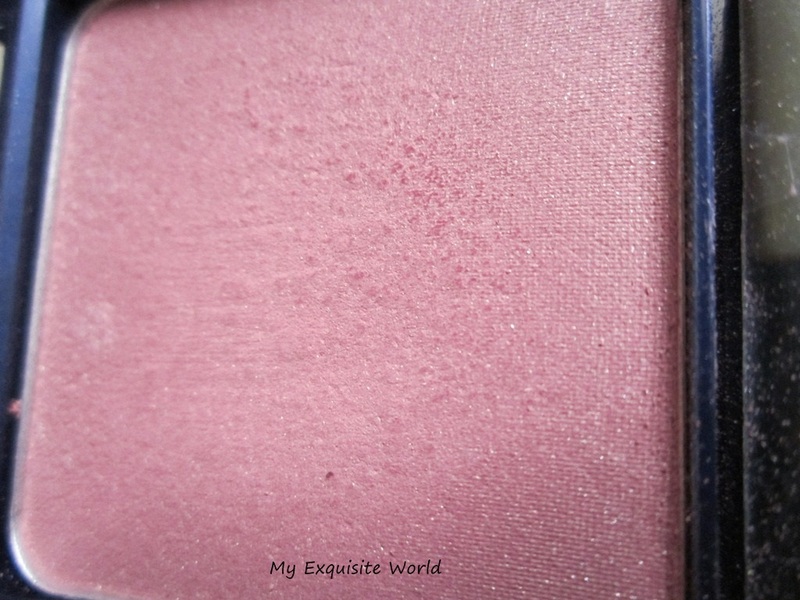 SHADE:It seems to be a mauve pink with silver shimmer in the pan but comes out to be a very light baby pink with silver shimmer on cheeks. 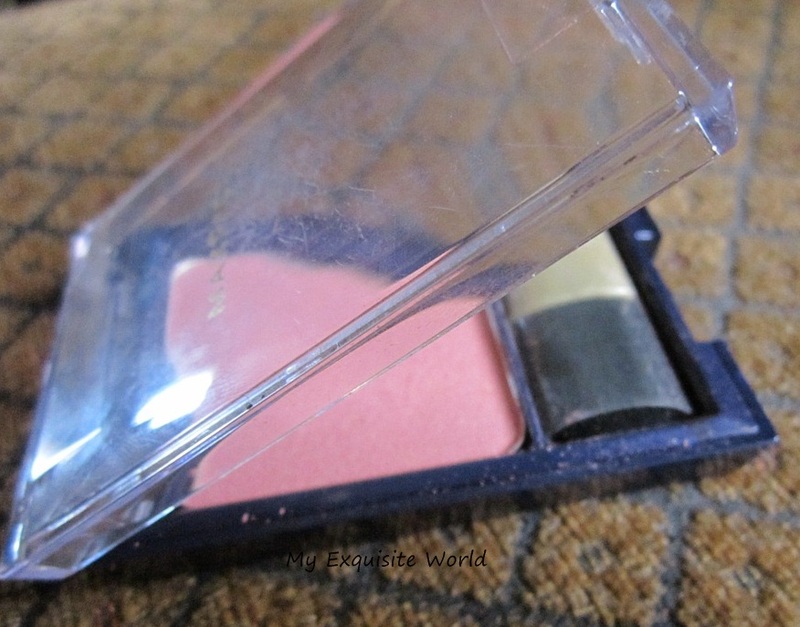 TEXTURE,FINISH & STAYING POWER: The texture of the blush is not very impressive as itsnt very soft.It feels little chalky and has a lot of fallout.The shimmer present is finely milled and is not gritty.Obn cheeks,it does give a subtle glow. The finish is very sheer but buildable.However,for proper shade to show up,you need 4-5 swipes. 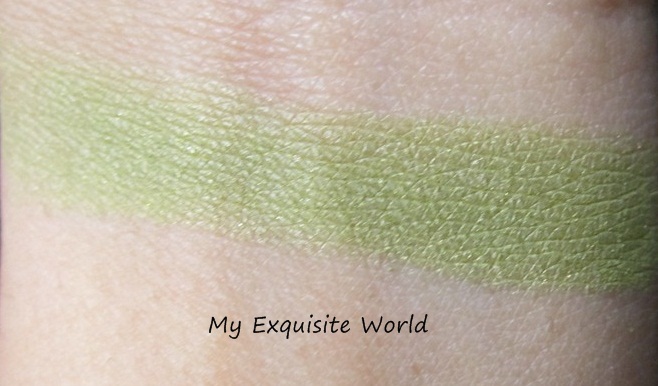 I was very excite dot try this when i has bought it as it looked decently pigmented at the counter but i am really disappointed with the pigmentation. 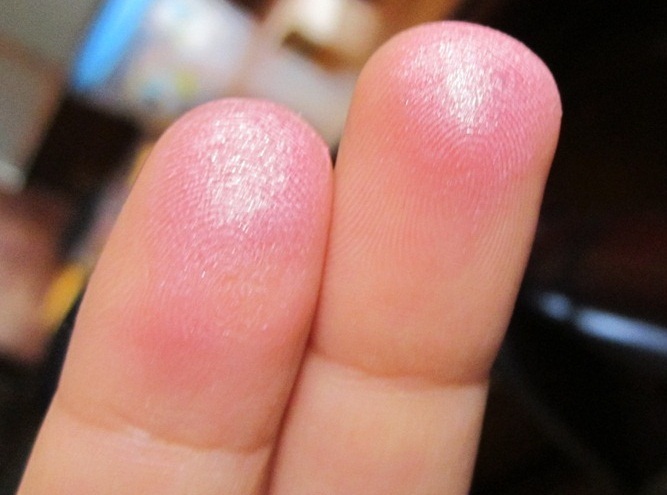 Also,it forms patches on the blush when swiped 3-4 times regularly.But i feel that these are average pigmentation blushes for a Natural effect!! Staying power is around 4-5 hours which is pretty fine!!! 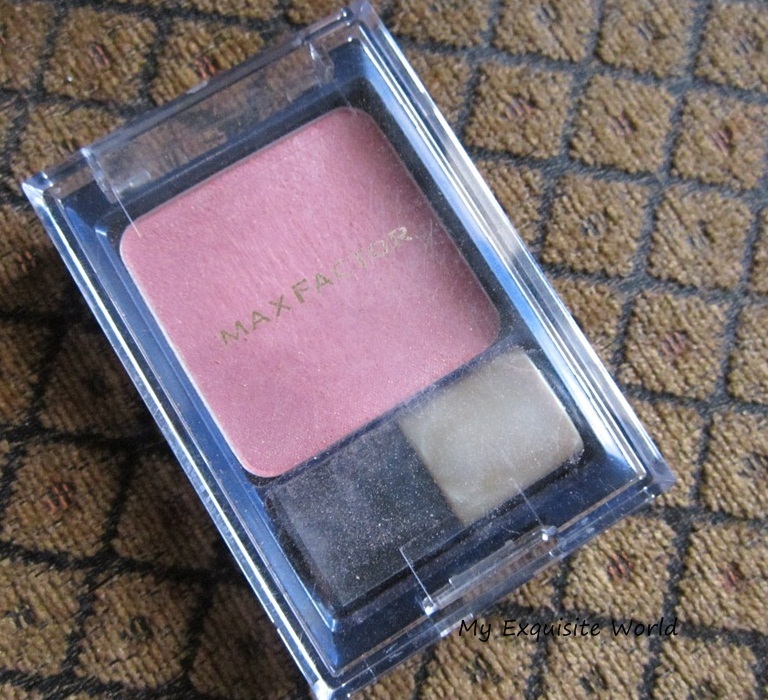 gives a natural pink flush to cheeks. the shimmer present isnt gritty. 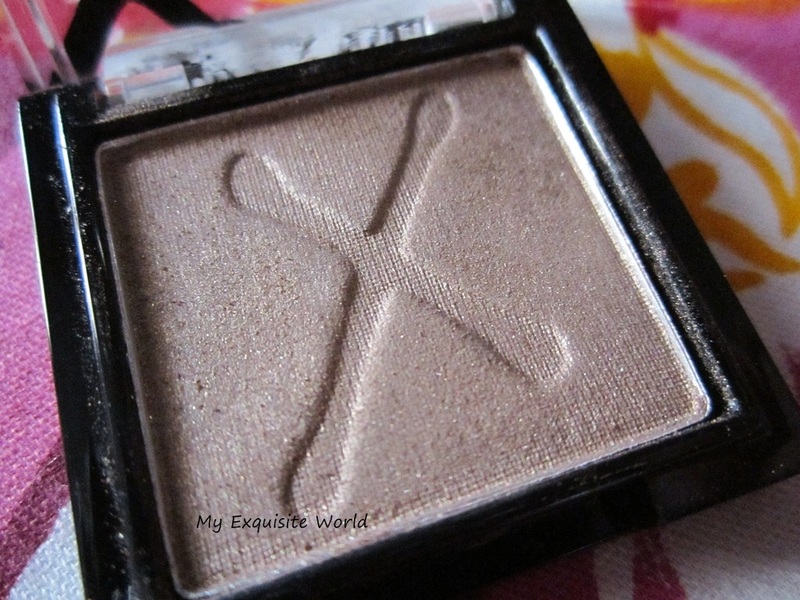 shimmer gives a subtle glow to cheeks. 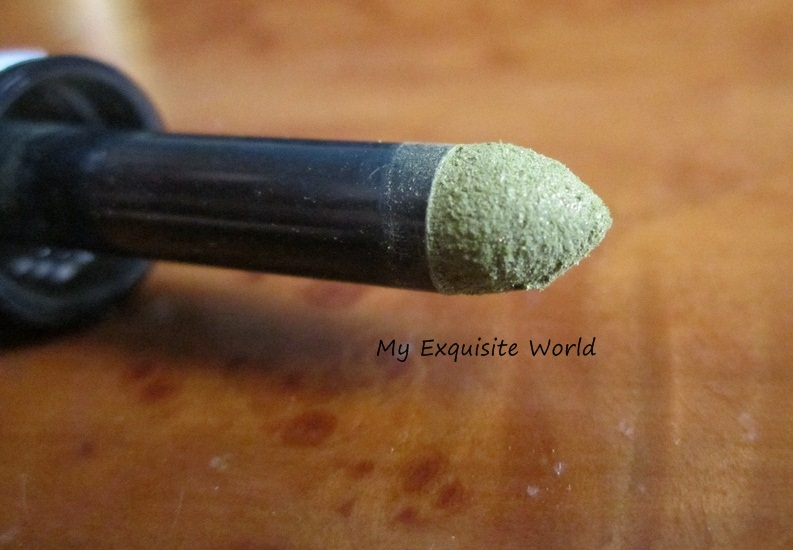 decent staying power for the pigmentation offered. the texture isnt very smooth. will not show up on very dark skin. the packaging is slightly cheap. the brush that comes along is of no use. RECOMMENDATION:Overall,i am not impressed with this blush.The shade is really pretty but the pigmentation and formula is very low!!! PRODUCT DESCRIPTION:Our mega volumising brush has been fused with our ultimate length formula to deliver incredible lash glamour. It’s a winning, wowing combination: both volumizing AND lengthening effects means you can create a more impactful look than ever before. It’s set to become the must-have miracle for dramatic eyes. Max Factor’s Award Winning Make-up Artist, Caroline Barnes: “It’s a fantastic product for the girl who demands it all! 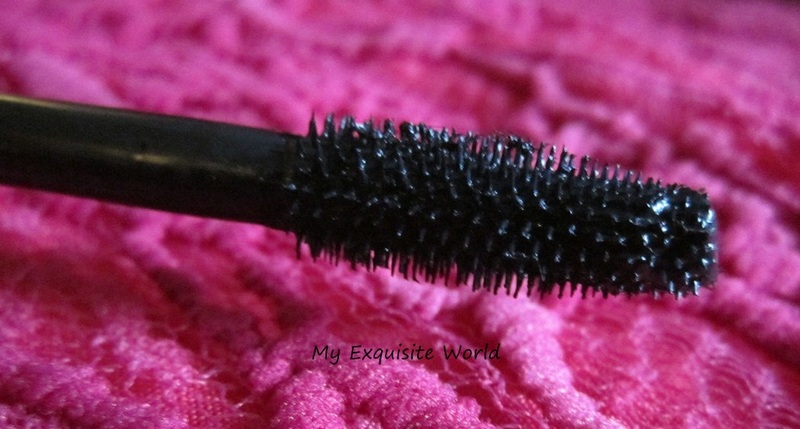 It delivers super full thick lashes, yet stretches the length too. There are no rules! You can wear it every day at work for a natural make-up look or layered up in the evenings to compliment a smoky eye for extreme lash glamour. 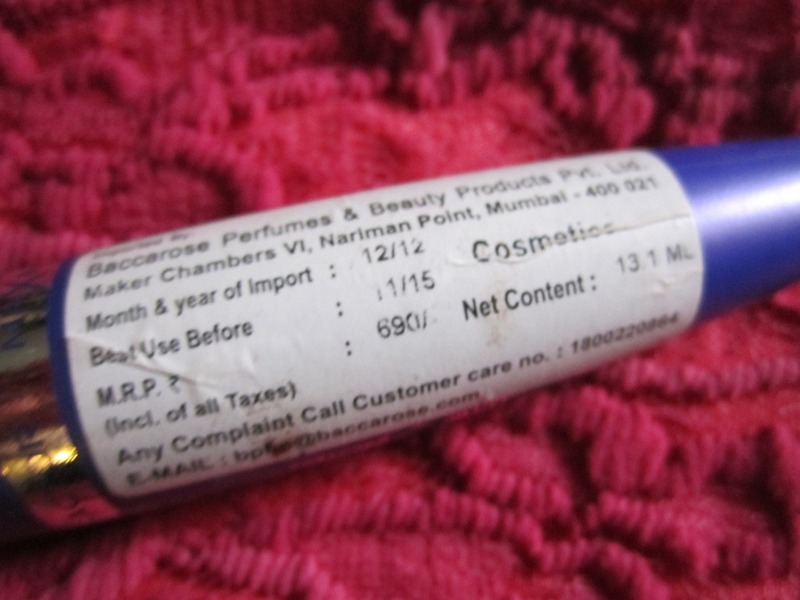 PRICE: Rs.690 for 13.1 ml. 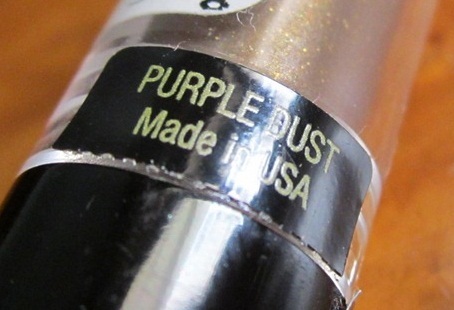 PACKAGING:The mascara has a fat purple coloured tube with a big wand.The bristles are packed and the mascara never stays at the mouth of the tube which i really like. FORMULA: The formula is pretty impressive.It is neither too thick nor very runny.It gives ample times for applying further coats and dries out nicely.I was really impressed by the wand as it doesnt make marks on my eyelids while applying mascara that is always a problem in some mascara.However,it is sometimes difficult to coat very sparse lashes ar thise that asre near the tear duct as the wand is huge for those areas.It piicks up right amount for one coat. 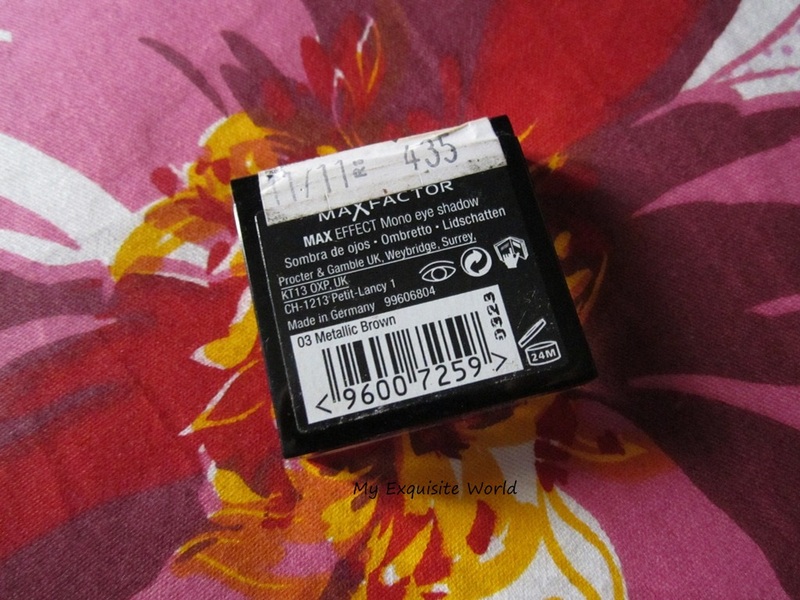 PERFORMANCE: I am impressed by the overall performance of the mascara.It does add volume and lenghten the lashes to a great extent BUT my Loreal volume million lashes mascar still scroes 5 on 5. One coat of the mascar lenghtwns the lashes and further coats adds volume.It never clumps no matter how many coats you add!! I really love the effect. It can also be used as an everyday wear mascara by using only one coat.It doesnt give the full false lash effect but does add volume and length. Staying power is around 6-7 hours .It is definitely waterproof!!!!!!!!! 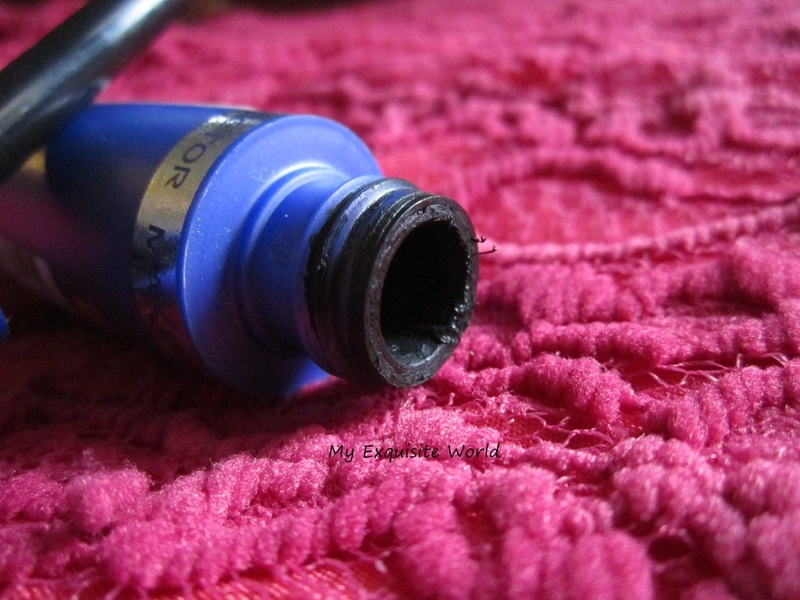 the mascara doesn’t clump at the mouth of the tube. 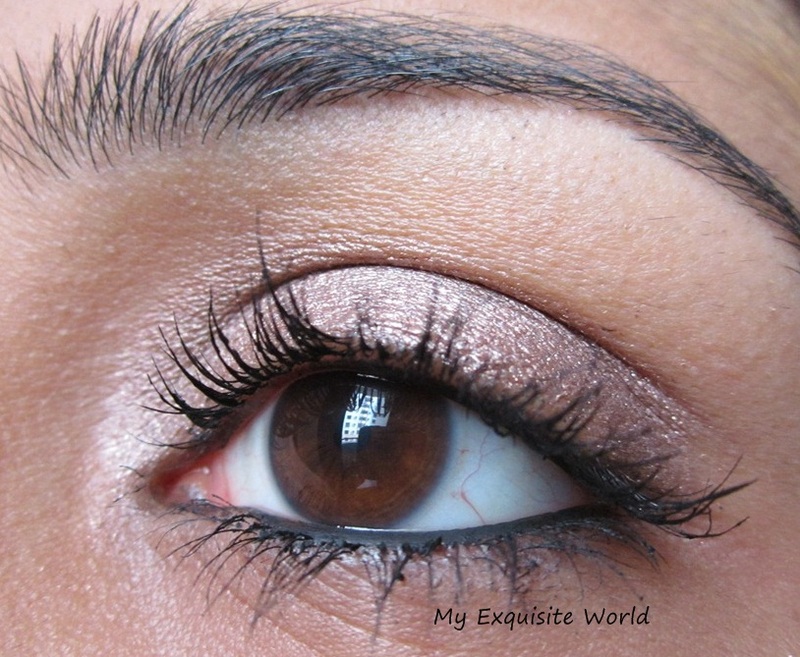 can be used for a natural look as well as for thick lashes. 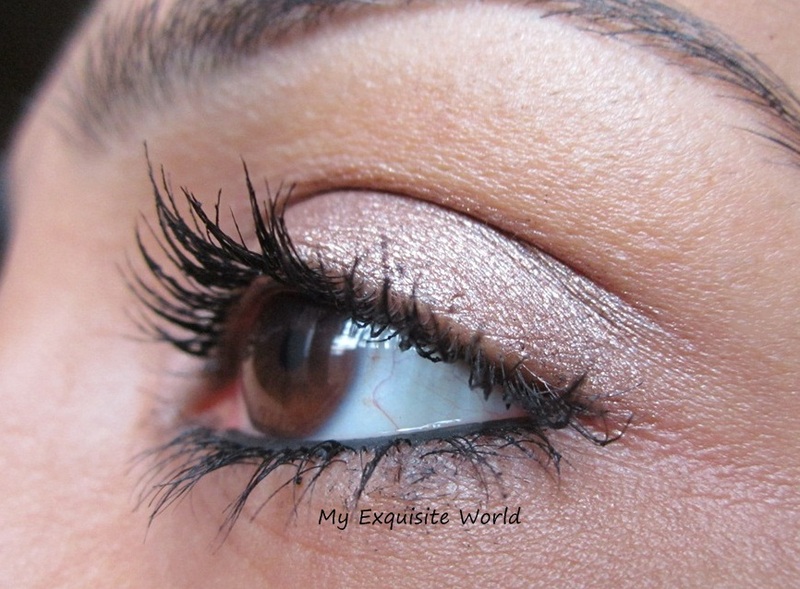 provides a neat look to the lashes and doesn’t make marks on the eyelids. doesn’t give exactly false lash effect. 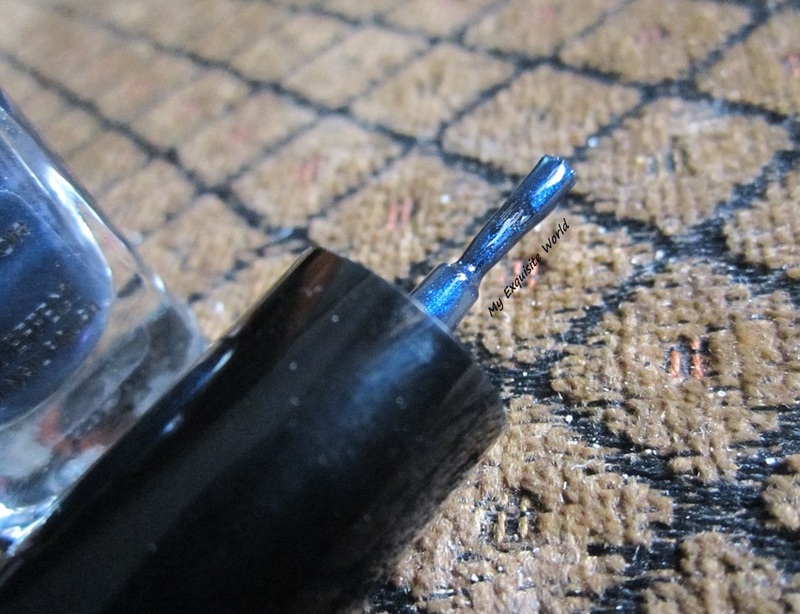 the wand is not able to cover sparse or lashes near the tear duct. 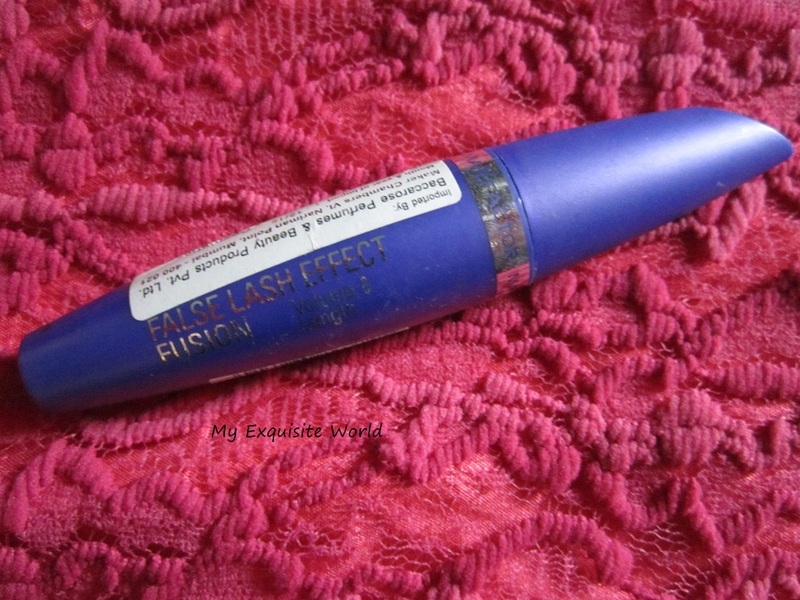 RECOMMENDATION: It is a great mascara but i would have preferred if it had add a bit more volume.I does volumize and lengthen to a great extent but the false lash effect are too much for this. 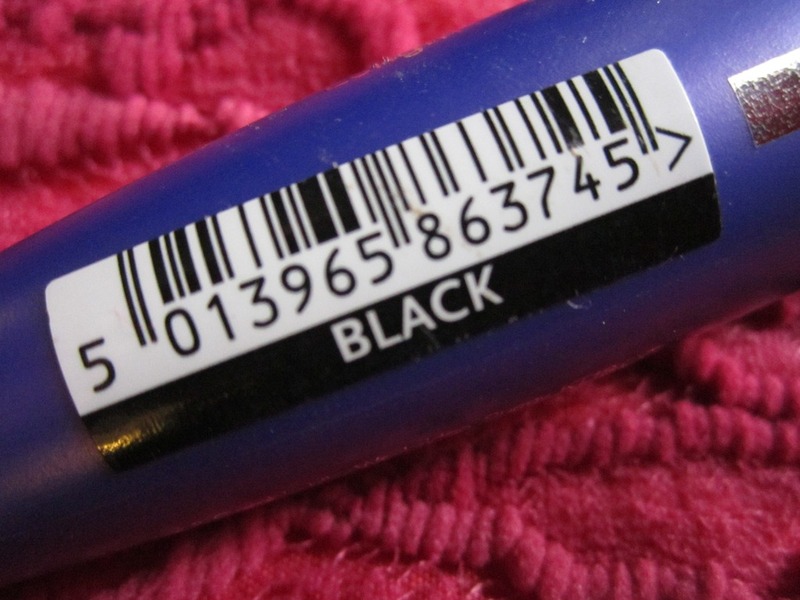 Altogether,a decent working mascara with a good formula. PRODUCT CLAIMS:Block colours are all the rage at the moment; get with the trend with our new Max Effect Mono Eyeshadows! Try out all 7 fantastic shades – just enough for a different one every day of the week. 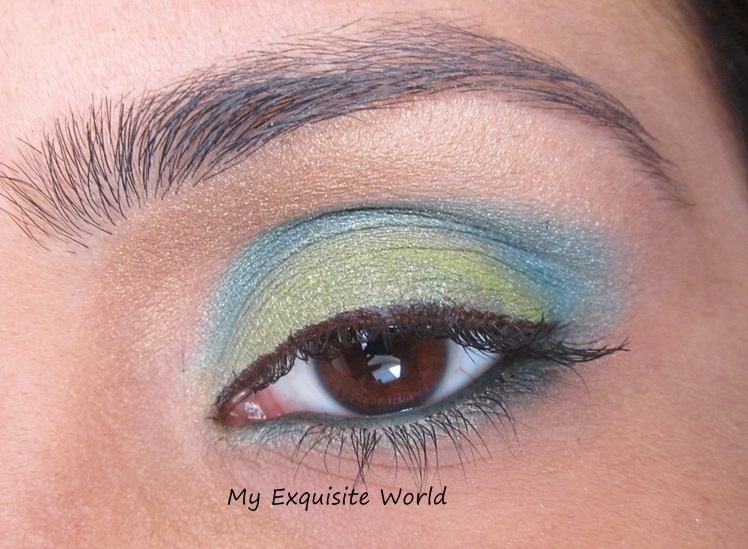 Wear as a block colour to really liven up your lids and show your true colours, night and day! Mono Eyeshadows are designed with standout colour in mind. 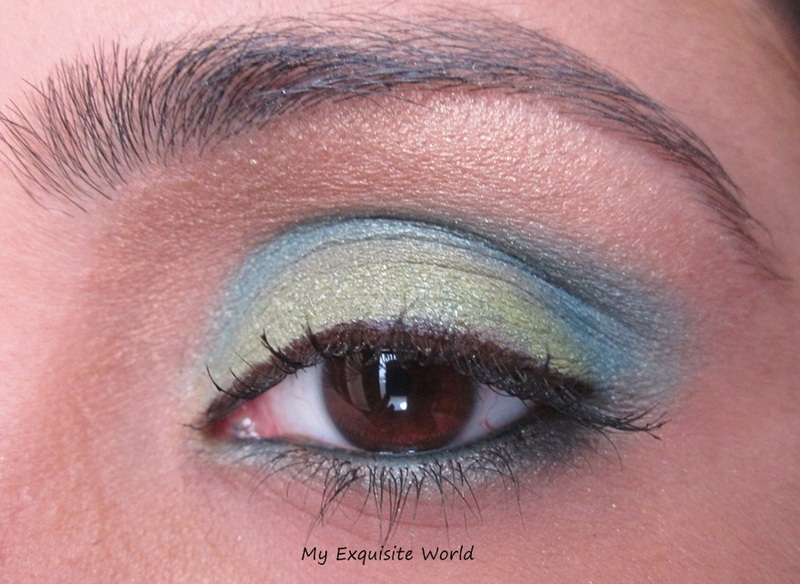 The eye shadow can be applied dry for a more subtle look or with a wet brush for an intense pop of colour. 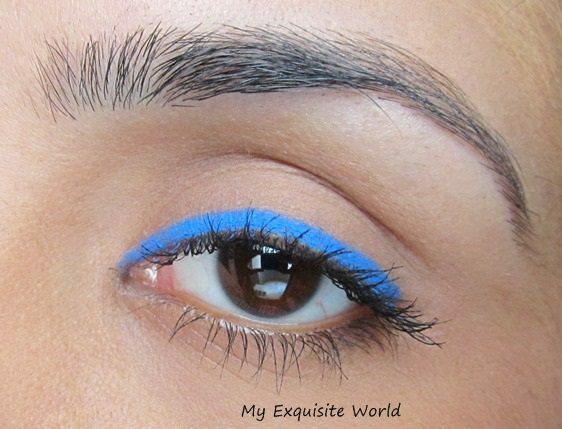 Take a single block of colour all the way from your lashes to eyebrow for a truly bold, modern look. 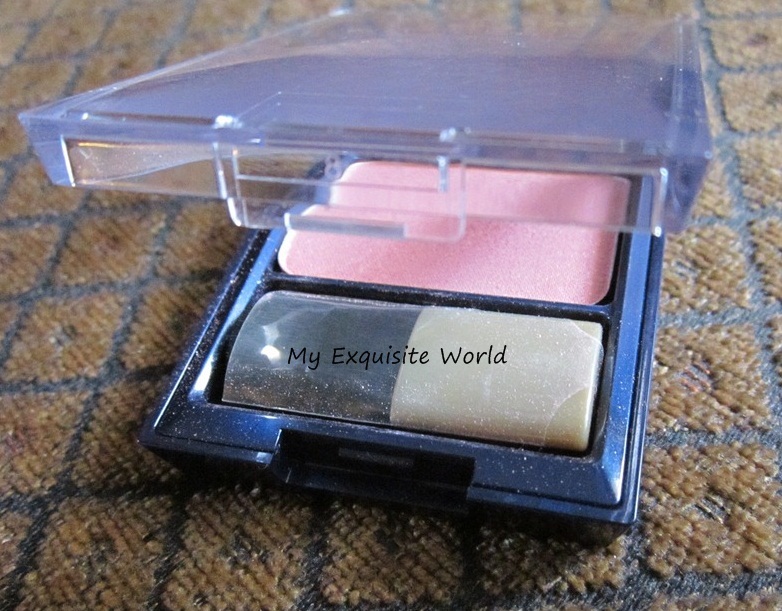 PACKAGING: The packaging is very simple and cute with a small cube like square having the product.A transparent lid and the shade name is provided at the black back . 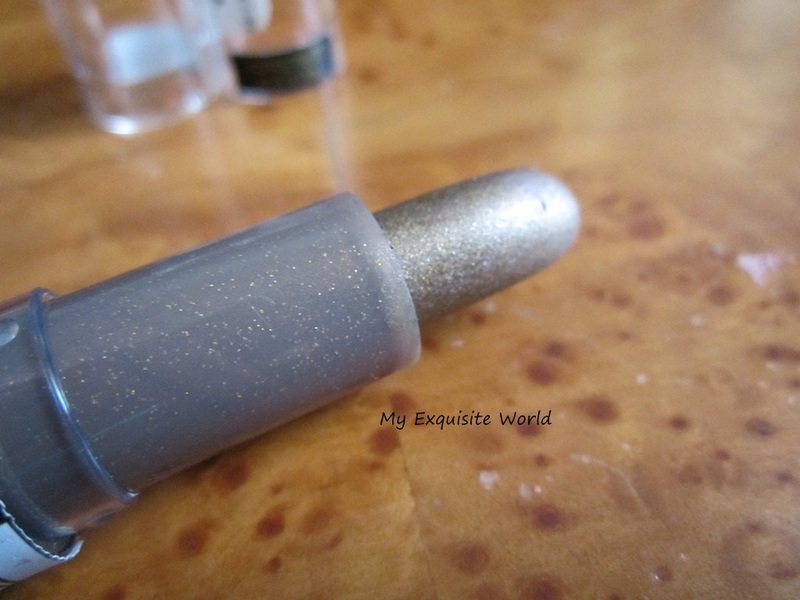 SHADE: The moment i saw this shade,i knew i had to buy it.It such a pretty metallic bwown with taupe tones.The shade has subtle golden shimmer that adds glam ot it. 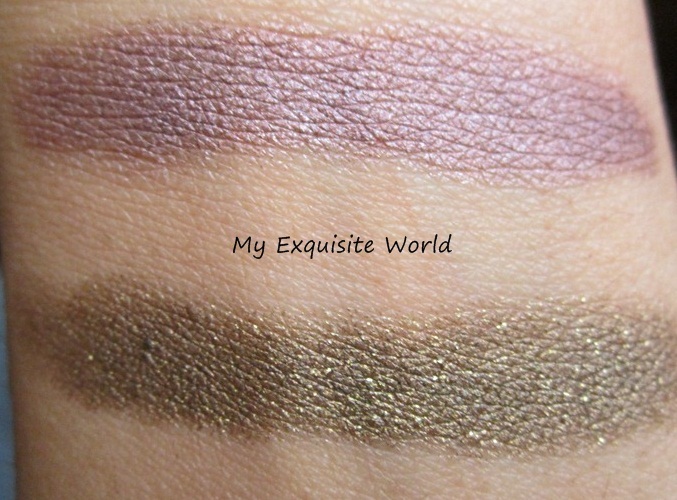 TEXTURE,FINISH & STAYING POWER: The texture of the eyeshadow is smooth though it does have fallout which may be primarily due to the presence of shimmer.It has a metallic sheen/effect to it which looks great on lids. 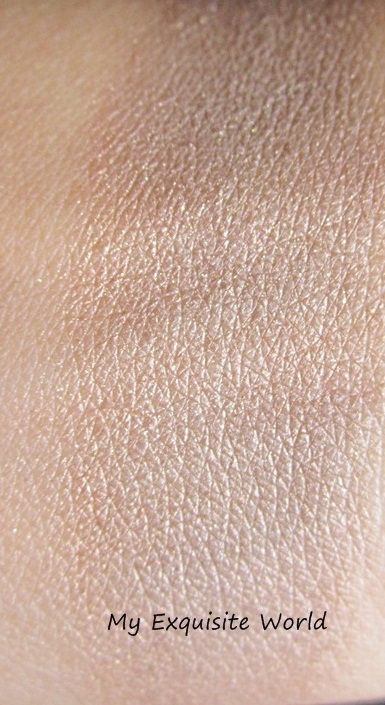 I like how this shade can be used as a neutral brown everyday wear shade or for a smoky look using black. The finish is metallic as said. It isn’t highly pigmented but needs 2-3 swipes for full shade on lids.The shimmer present isn’t not gritty .However,a good primer can definitely help in intensifying the shade. Also,i mostly use this shade dry but it can be used wet as well!! Staying power is around 6-7 hours which is great. a great everyday wear shade. the shimmer present isn’t gritty. available online on many E-shopping sites. might not show up very well on darker skin. 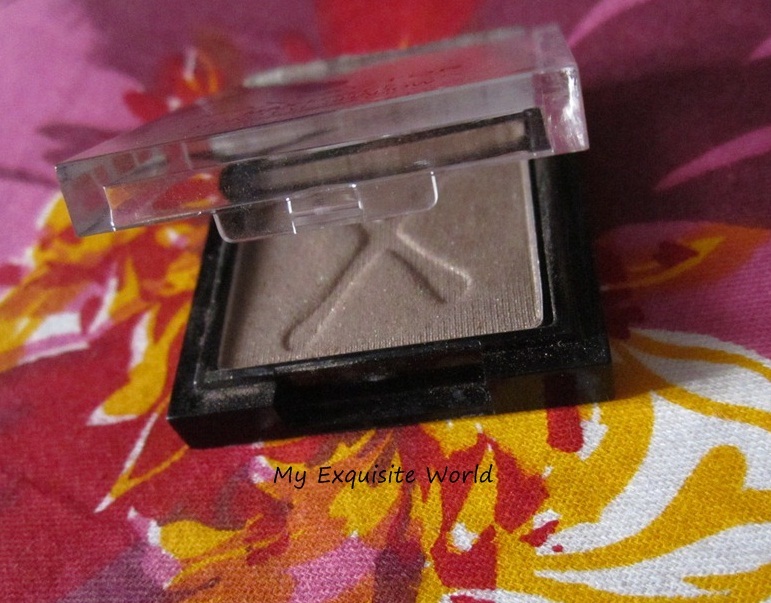 RECOMMENDATION: I really like the shad eand it is one of my go-to shades when i am in a hurry and want a wash of neautral shade on eyes.It is not highly pigmented but buildable.Can be purchased at a lower price from E-shopping sites(medplusbeauty,etc.) which is like cherry on top!!! !Definitely worth trying!!! 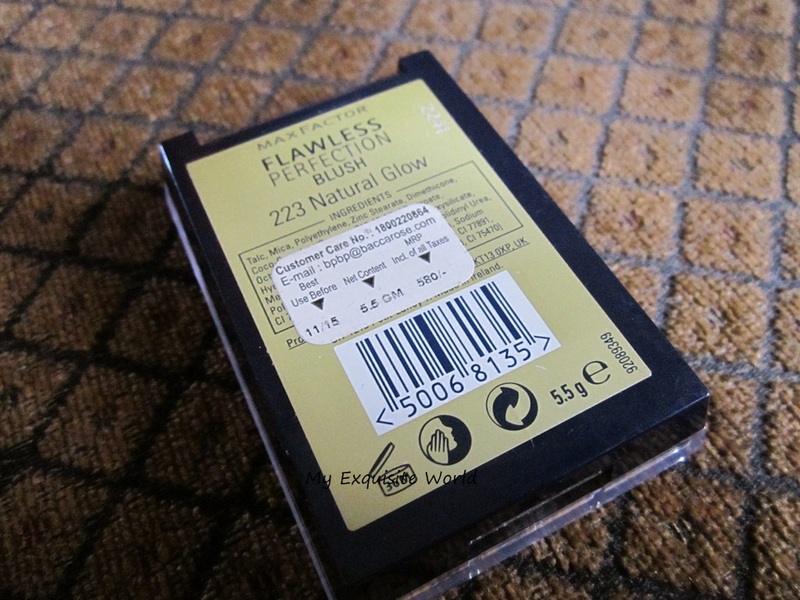 PRODUCT CLAIMS:Ever struggled to get that professional perfect smoky eye effect? Well New Smoky Eye Effect Eyeshadow could be the answer to your prayers. A foolproof new tool that shades, blends and defines your eyes for this season’s sultriest, sexiest looks. Inspired by our international team of make-up artists its double-ended application system has 2 distinctive tips designed to make smoky eyes easier than ever. Choose from 6 must-have velvety shades to flatter your skin and work with your style. 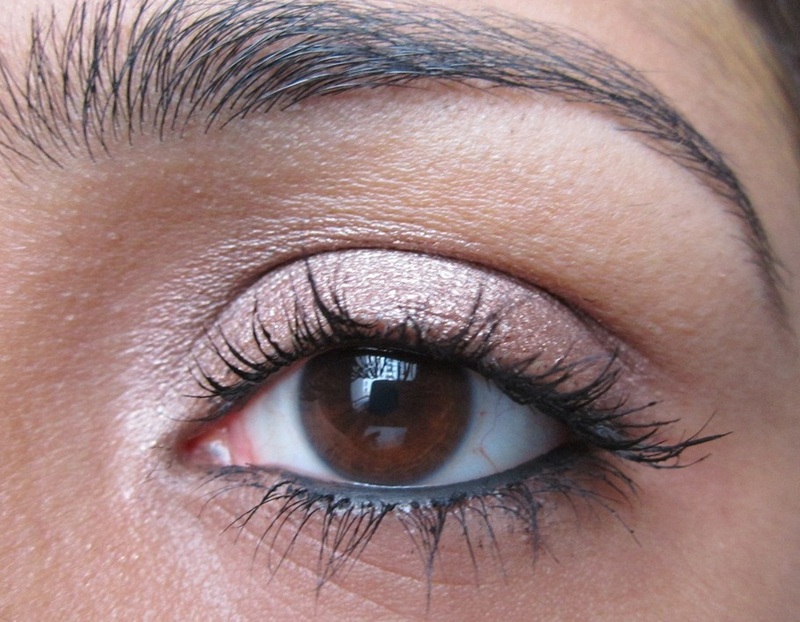 HOW TO USE:For the perfect daytime smoky eye – go neutral. 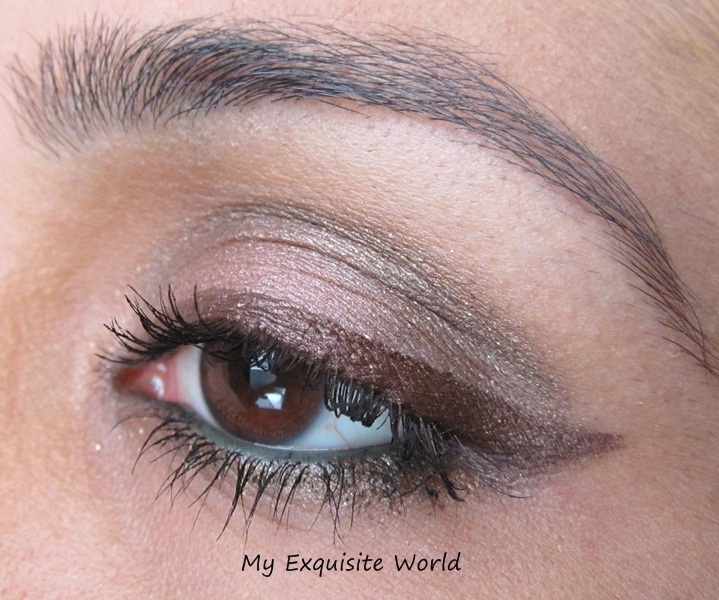 Use Smoky Eye Effect Eyeshadow in ‘Brown’ to subtly define your eyes, first blend the lighter end over your eyelid and finish by applying the darker end along the lash line and into the crease of your eye. Intensify your smoky eye for evening by sweeping the darker shade underneath your lower lashes and winging it out dramatically at the corners. Add to the overall impact with a lash-boosting coat of Lash Extension Effect Mascara. PACKAGING:The eyeshadow comes in a dual ended packaging with one end having the lighter shad hat has a round tip and the other having having the darker shade having a pointed tip for definition in the crease. 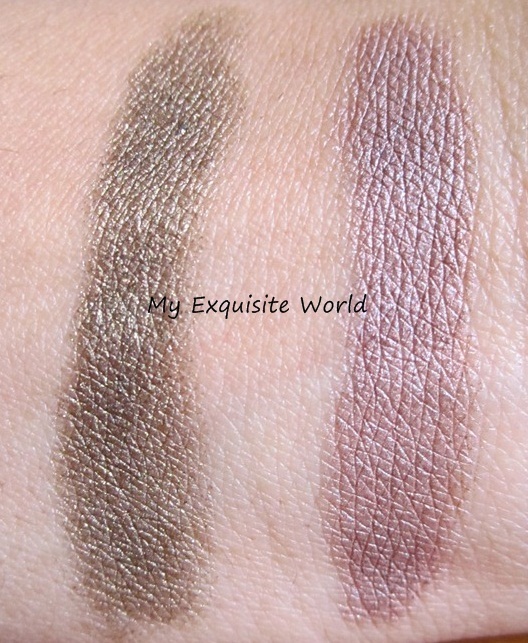 The lighter shade that is step 1 is a deep purple with slight taupe undertones making it a perfect everyday wear shade. 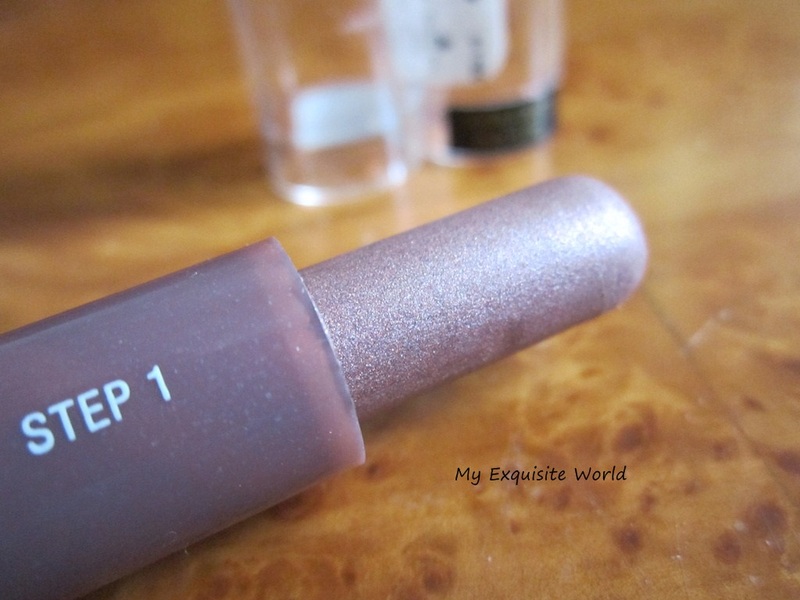 The darker shade that is step 2 is a beautiful khaki green with golden shimmer. TEXTURE,USAGE & LONGEVITY:The shades are really smooth to apply and blend well resulting in a quick look.You can also wear single shade.Both the shades compliment each other very well. 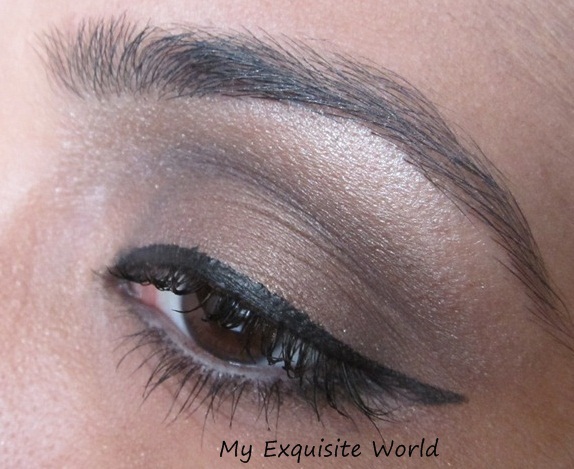 It creates a nice, subtle and shimmery look.These shades can be used as base for powder eyeshadows too and the result is even more glamorous. On my eyes,they stay for about 4-5 hours without creasing but i am sure that they will crease on very oily lids if used without a good primer.After hours you can easily fading in the crease and the intensity all decreases. 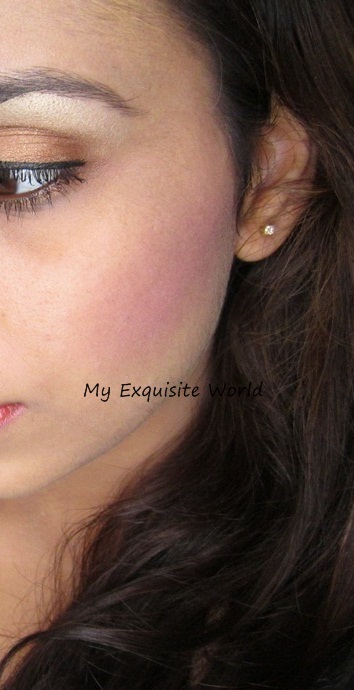 These are creamy shadows and are decently pigmented.It is easy to create a look with them but over use can lead to merging of both the shades that cant be distinguished!!! the shades are decently pigmented. stays for about 4-5 hours without creasing. can create a quick look. 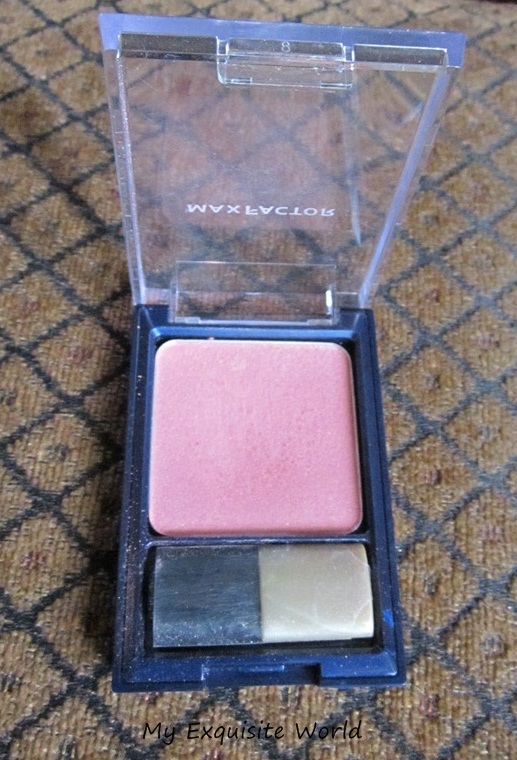 can be used as a base for powder eyeshadows. they will definitely crease on oily lids if not used with a primer. can merge into each other if overused. RECOMMENDATION: These are not must have but great to carry in handbag for a quick look.They can also be used as a base. Happy Holi everyone.Play a safe and healthy Holi!!!! 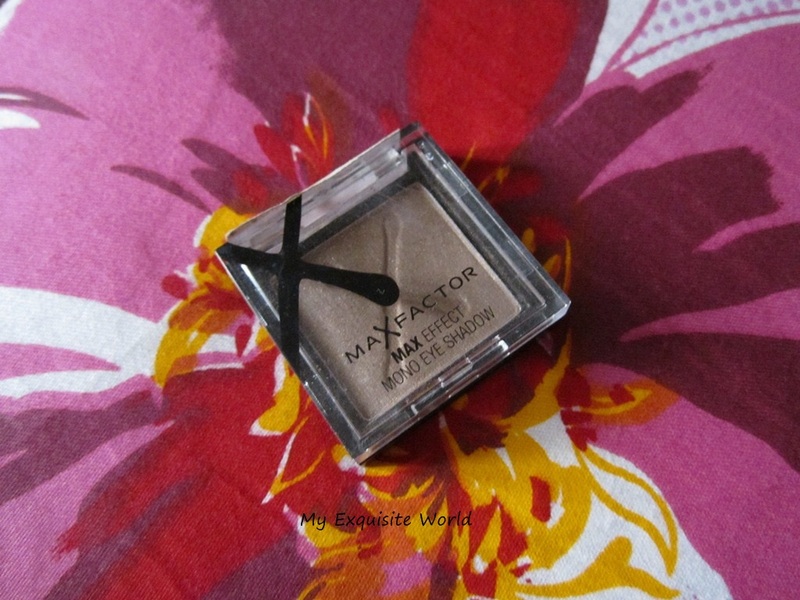 I wanted to try a lime green shade since a long time but wasn’t able to find one that could use.When,i saw this dip in shadow from Max Factor,i thought of giving it a try and now,i must say,it is a great shade and a great shadow!!! 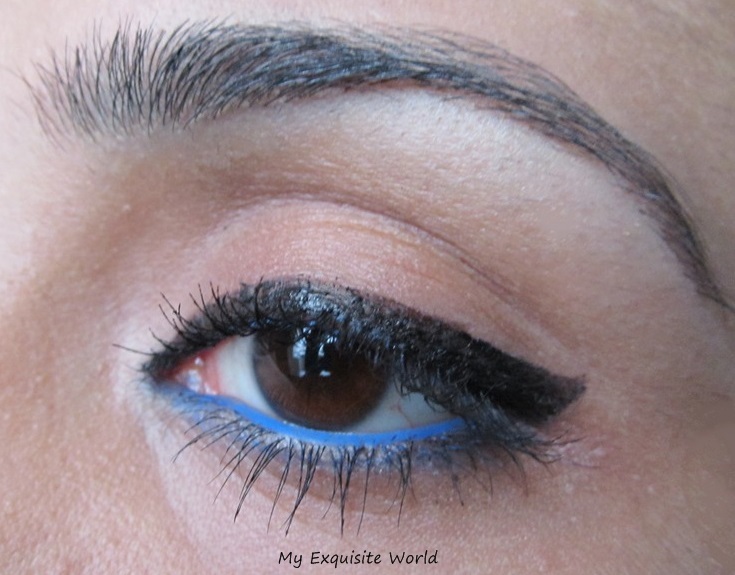 ABOUT :Give your eyes a shot of intense, vibrant colour with Max Effect Dip in Eye Shadow. No shrinking violets, these 8 bold, modern colours range from green and purple to blue and pink. With its pearl and colour pigments, they provide a flash of colour and the perfect way to dip in and out of the latest fashion trends! The precision sponge-tipped applicator is ideal for applying loose eye shadow powder, opening up the eyes with vibrant flashes of colour. 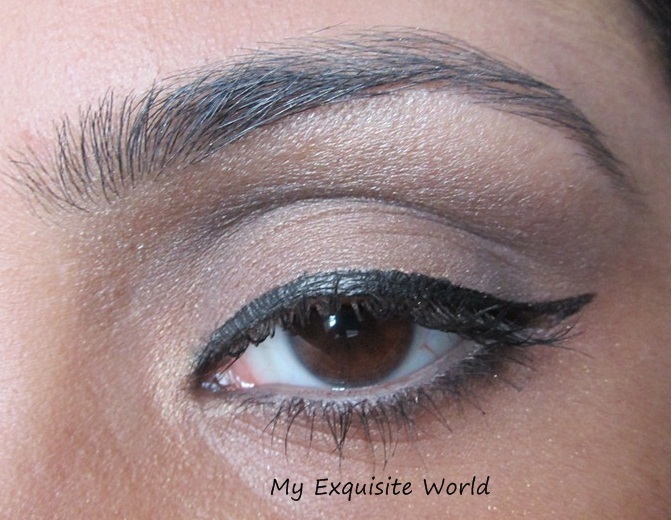 To emphasise the lower eyelash margin, use the Dip-In Eye Shadow on the lower lashes. Perfect for lots of flirty fluttering! PACKAGING:The packaging is similar to Maybelline shadow stylist that was launched way back.They come in these small conical pots and a precision sponge tip applicator that picks up loose pigment eyeshadow and eases the application !! 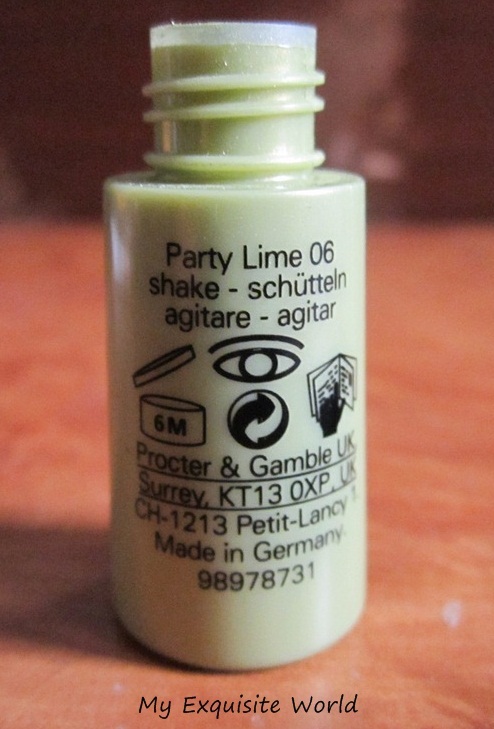 PARTY LIME; THE SHADE: The shade is a gorgeous and refreshing lime green with minute golden shimmer that adds to the beauty of the shade.Since,this is a pigment eyeshadow ,it is decently pigmented and the shade pops out its beauty!!! TEXTURE,FINISH & STAYING POWER: The texture of the eye shadow is smooth and the shimmer present is non-gritty. The applicator does help in applying the pigment eyeshadow resulting in less fallout.I find it difficult to apply this without any proper base .With base,it intensifies and adheres for a longer period! The finish is pearly and it looks very beautiful!! 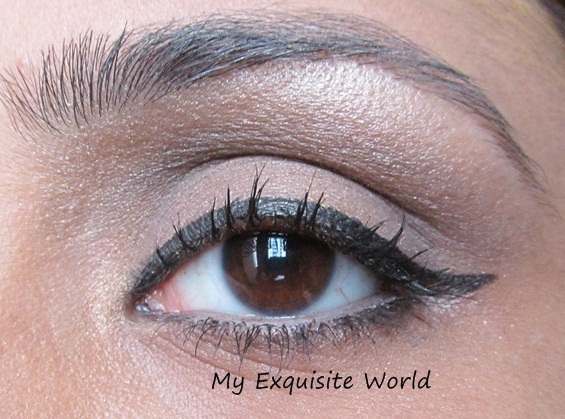 It is easy to blend with other products and eye shadows of different finishes and textures.. 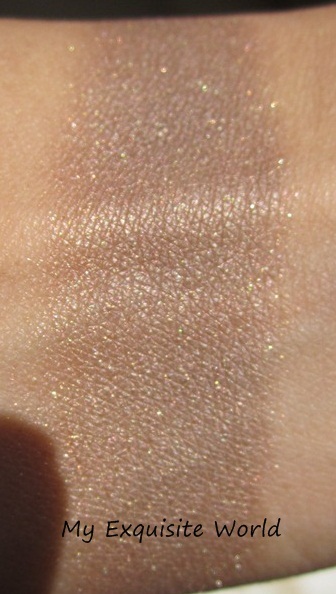 This is a very beautiful shade but i don’t wear it much as it is very loud and bold and i like neutral looks more !! Staying power is around 4-5 hours without nay base and 8-9 hours with primer and a similar shade base!! the shimmer present is not at all gritty. decent staying power with a base. blends well with other shadows. has a bit of fallout. might be streaky for some. 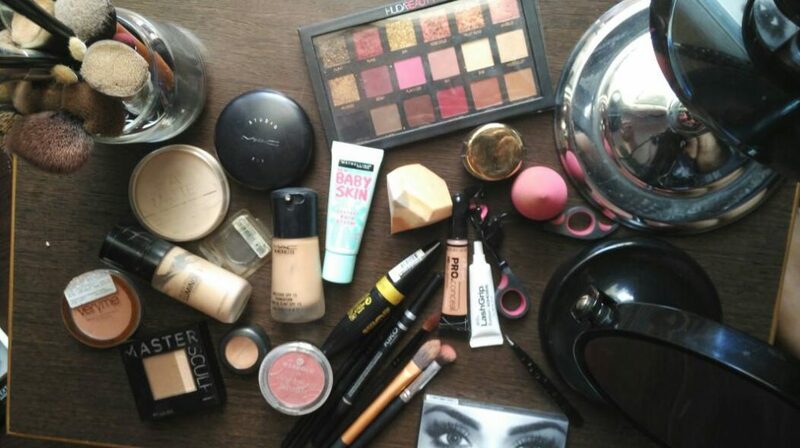 RECOMMENDATION: It is a great product provided you can carry such shade but altogether it is a fun product to have in vanity!! !